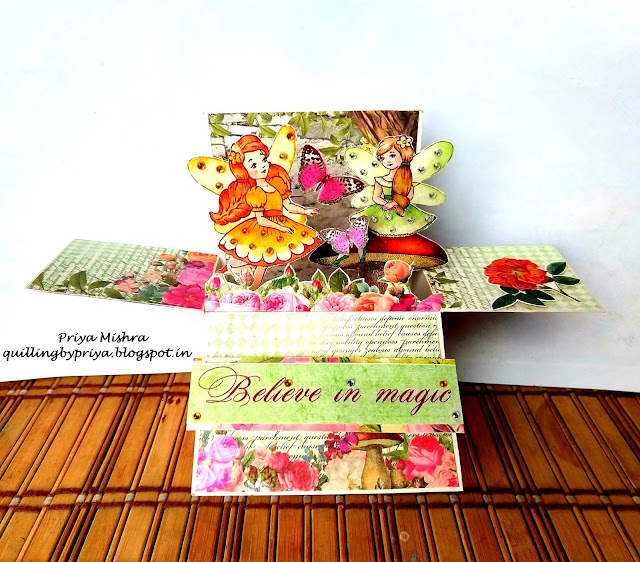 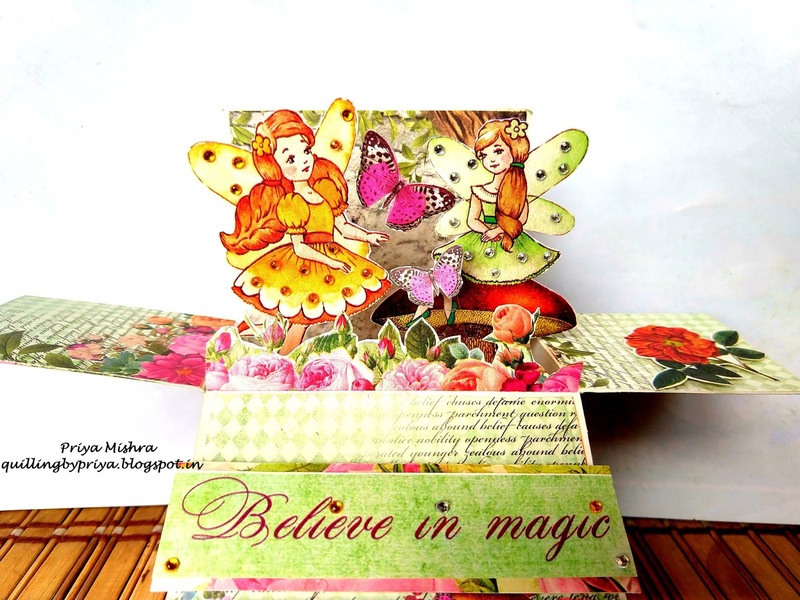 This time the challenge theme at Make My Monday Challenge #75 is Fantasy and I chose to make a Fairy pop up card for the same. 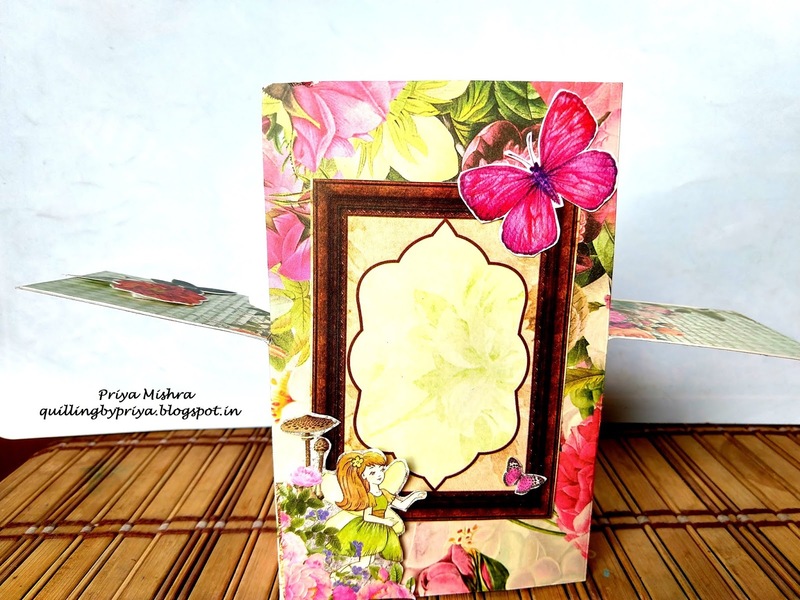 This card can be folded and fits into a regular envelope and has a space to write note on the backside. Do participate in the challenge and visit the blog for more awesome DT creations.